This is a community cooking project like no other, anyone can attend and learn in 5 week blocks learning everything from simple knife skills right through to a City & Guilds Food Hygiene award! So the course runs over a five week block where there are 4 weeks of learning and then the final week ends in style by each person who attends cooking a 3 course meal for family and friends along with a City & Guilds Food Hygiene certification which can be used towards potential job applications and this is all FREE, yes FREE!! Along with all this each person will receive an branded apron and a basic knife set so that they will be able to reproduce all the recipes they learn at home with the help of the printed shopping list and cooking guides they will take away with them, and if they do get stuck each recipe is available to cook along live on our youtube page. We are looking to open a Kitchen Workshop in another 3 communities in the coming year but these will be funded by separate streams, this is just for the Halewood community and will be the first of its kind in the UK, you could help around 360 people a year to cook from scratch, healthy, source locally & reduce food waste. Most people say that they cant cook, this is normally just that they have been shown in a people paced environment with self taught chefs that are now at the top of their game willing to pass down the knowledge of the secrets that are used in the professional kitchens to aid with the reduction of waste and how they squeeze every last drop out of each ingredient. 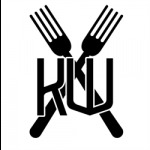 The Kitchen Workshop came from within the group, KMS Pro Ltd, KMS have been working in the catering industry for well over 20 years and have noticed the lack of community sense of cooking and teaching, especially in the younger generation. We have also been developing menus for many of the big brands and have been shocked in the lack of wanting to move the kids menus along with the diversity of the main menus. We think this is the result of many groups not being able to create food for the family, especially the children and we are sick of seeing fish fingers and chicken nuggets!!! So our Head of Development, Mark Tempest decided to introduce the Kitchen Workshop concept, all that is required is a space, a small amount of funding and the community spirit that would like to learn to cook and it’s all for FREE! We are looking to offer 36 people on each of the five weeks courses, the courses will cover everything from basic skills and cooking to them taking over the kitchen on the last week and cooking a three course meal for their family and friends. Not only that, they will walk away with a cook book which will include all the recipes that they have created over the first 4 weeks, along the way they will also come away with a City & Guilds Basic Food Hygiene Certification which can be used towards employment opportunities. Further advanced courses will be available for everyone to get involved which we are hoping that can also be funded and made FREE for each community that we are hoping to open in the future. Project Delivery Manager: The Kitchen Workshop (Halewood) KMS Pro Ltd The Project Delivery Manager takes legal responsibility for receiving and spending the funds raised and ensuring the project is delivered.